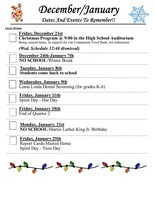 Which class can bring in the most cans? 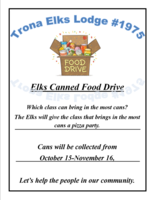 The Elks will give the class that brings in the most cans a pizza party. Cans will be collected from October 15-November 16 Let’s help the people in our community. 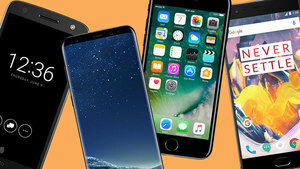 Be sure to check out our new Android and iOS apps!We're very pleased to be able to offer these, our app will now be the single best way to keep up with the latest news and updates, find your way to off-campus games, check the schedule of events, and even follow game scores real-time!